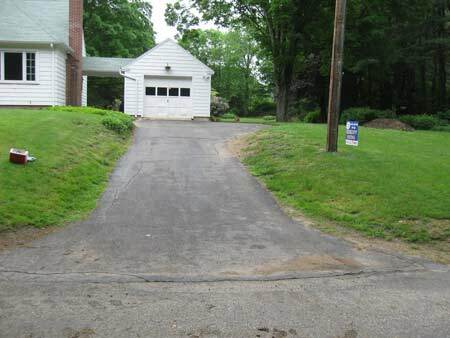 This driveway in Mansfield Hollow was collapsing because it had been built on a sub-standard base. 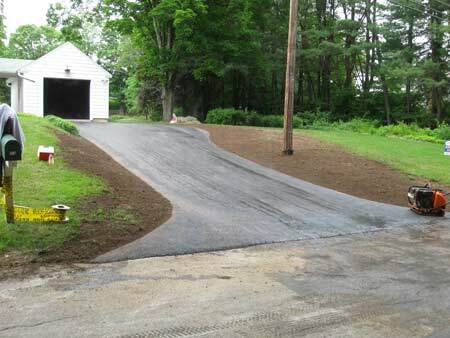 It needed to be widened, as well because the bank was too steep to manage near the telephone pole. 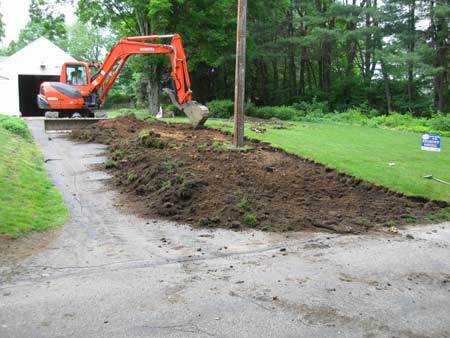 The homeowner had some stumps to be popped and pulled throughout her yard. 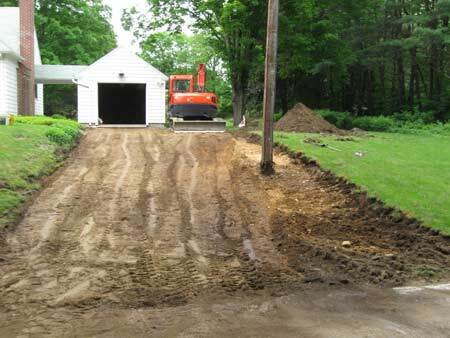 First we stripped the topsoil and saved it for future use, saving money, then we excavated the excess material and created a new slope, making the bank more manageable. 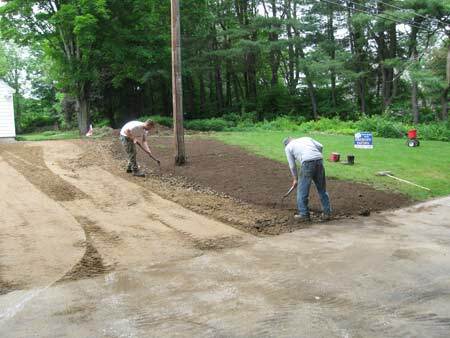 Then we redistributed the top soil over the new area and widened the driveway, then hand raked it and seeded. 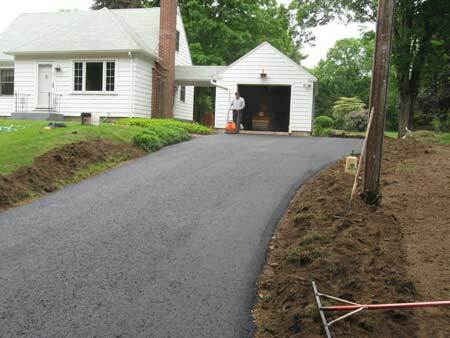 We fine graded, compacted, rolled, and paved the driveway with a Class I commercial, stonier asphalt mix because of the slope.